Life is all about transitions though, and with those transitions, our values shift. As I got older and my thirties appeared over the horizon, I began to value my career, mental and physical wellbeing a lot more. With this, my desire to stay out late, drink myself to oblivion and pay for it the next day subsided big time. This was in part prompted by my foray into entrepreneurship and discovery of all things personal development. I now found myself keeping drinks to a minimum when I did venture out (if I did venture out at all), often leaving in time to get a restful sleep in before my morning workout. 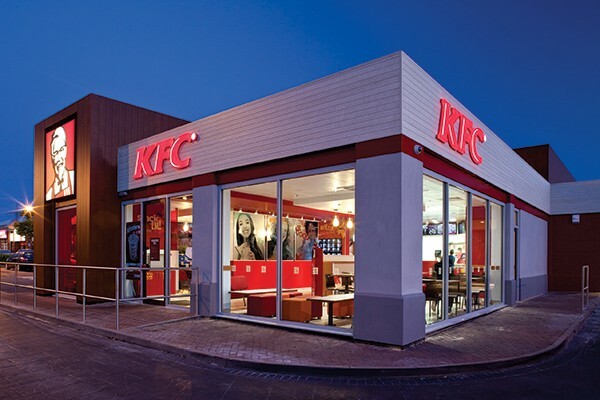 Gone were the 4 am last drinks and the ill-timed 5 am pitstop at KFC on the way home (yikes!). Almost always a bad idea, not least at 5 am justbefore you hit the sack! However, while my body was welcoming of my newfound lifestyle choices, my mind was struggling to reconcile what was going on. You see, for a long time I had relied a little too much on alcohol as a social lubricant (which made numerous nights of debauchery that arenтАЩt fit for print) but I now faced the grim reality that my reliance on the bottle had inhibited the development of my social skills. Going out and conversing with people, sans alcohol, was something that I had to learn how to do all over again. 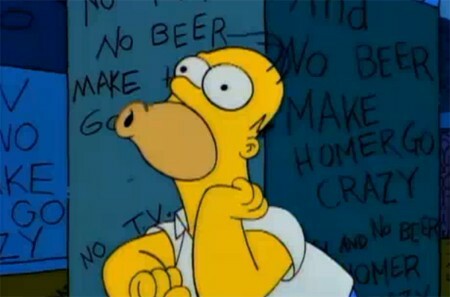 No beer make Homer go crazy! Fast forward several years and I was well on the entrepreneurial track. IтАЩd raised capital for my first startup (which ultimately failed), before building my second venture into a modestly successful seven-figure business, named one of AustraliaтАЩs fastest growing new companies in 2018, and opening the door to creative pursuits like writing books and hosting a podcast. Of course, this success served as a form of external validation, and subconsciously I started to derive a sense of identity from entrepreneurship. With this came another form of distraction that ultimately inhibited my growth as a personтАжwork. ItтАЩs easy to hide behind the veil of work to avoid confronting oneself in the real world, outside of our figurative office walls. ItтАЩs easy to rationalize doing so, especially when society tends to look favorably upon and rewards people who work hard and long hours. What Will I Say On My Deathbed? But again, as I delved into my early thirties, my values began to shift. I had heard far too many stories of palliative care patients saying things like, тАЬI wish I had spent more time with my familyтАЭ, or тАЬI wish I spent more time exploring the worldтАЭ, or тАЬI wish I hadnтАЩt wasted so much time in the officeтАЭ. Indeed, it was Michael Shermer whose research on the matter, distilled into his book Heavens on Earth, found that peopleтАЩs last words often have to do with love, gratitude, and religion. тАЬNobody says I wish I worked 80 hours a week instead of 70тАЭ, he said on my podcast. With this, I (somewhat ironically perhaps) got to work on better prioritizing, automating and outsourcing what we do at Collective Campus. Over time, this resulted in downward pressure on the hours we needed to work. 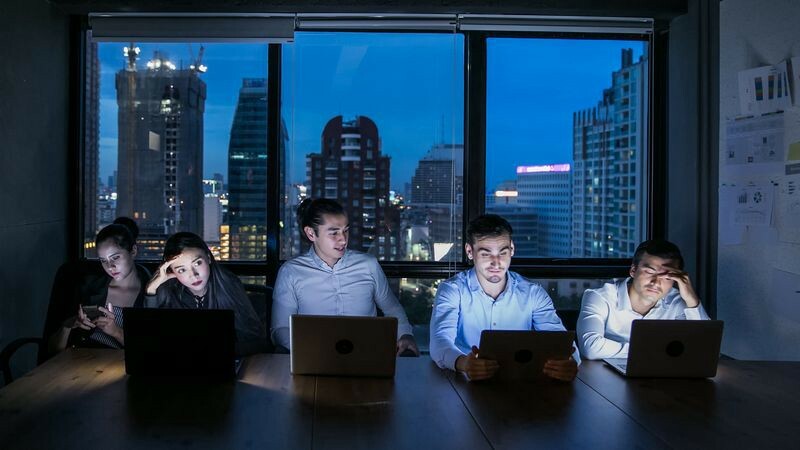 Rather than work the ten to twelve hours that I was accustomed to, I and the rest of my team, found ourselves getting away with just six to seven hours a day, without inhibiting the growth rate of the business. In fact, we found ourselves feeling better and being way more productive. I captured our transition to being a six-hour workday company and the lessons learned in this Harvard Business Review article. Suddenly, I had a lot more time to myself. As a thirty-something autodidact who lives on his own, I found myself slipping into a quiet solitude most weeknights, with a book and maybe a glass of red wine. I promise, this is exactly what it looks likeтАжexcept for the coffee cup of course. Rather than go out and see friends, I could simply message many of them on social media which I could use as a surrogate for genuine human connection. But hereтАЩs the thing; social media and texting is no substitute for genuine human connection. As Cal Newport put it in his book, Digital Minimalism, humans have evolved to build strong social connections with family, close friends, and community through face-to-face interactions that require non-trivial sacrifices of time and energy. Social media doesnтАЩt satisfy our innate need for face-to-face interactions. But for longer than IтАЩd care to admit, thatтАЩs where I was. 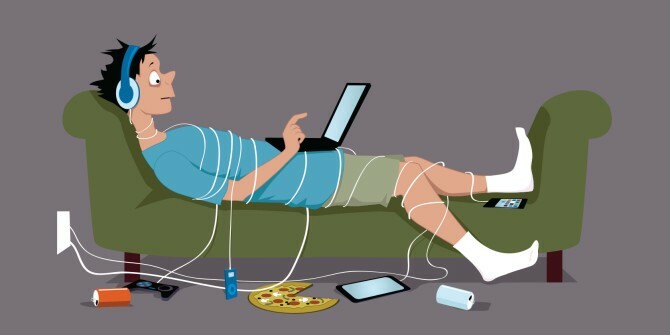 It wasnтАЩt until I unpacked the good work that the likes of Nir Eyal, Adam Alter, Tristan Harris and Cal Newport have put into the world on the topic of humane technology and digital minimalism that I began to seek out yet another lifestyle change. I didnтАЩt want to be one of these people that spent four hours a dayтАКтАФтАКthe equivalent of eight weeks a yearтАКтАФтАКstaring at their phone, nor did I want to be adding to loneliness statistics which find that oneтАЩs mortality risk increases by 26% if they report being lonely. Buoyed on by the digital minimalism movement, I decided that I would use my phone as my slave, rather than submit to it as my master. I would be intentional about using it simply to make plans with friends and share content with them rather than conversate. Will I Remember This in Five Years? Suddenly, as I resisted the powerful urge to reach for my smartphone in the evening, I was confronted with another painful truth. I was lacking genuine human connection and I wasnтАЩt truly living, at least I wasnтАЩt living a life true to a question I often like to ask myself; тАЬwill I remember this in five years?тАЭ. If my days are full of things I wonтАЩt remember in five days, let alone five years, then something needs to change. 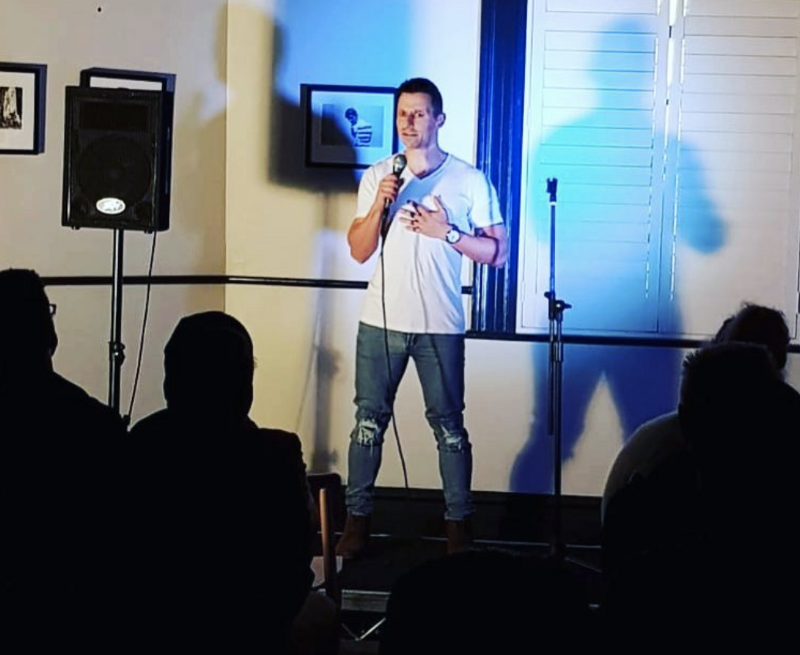 This suddenly gaping hole in my evenings forced me to get out more, to tee up dinners with friends more often, to hit the open mic circuit and give standup comedy a shot, to sign up to evening fitness classes and networking events. Ultimately, to be more social and connect with more human beings. Me attempting to do standup. IтАЩm by no means perfect, and am still on and will probably always be on the journey. We never truly arrive, and as Aristotle said, тАЬwe should aim to cultivate virtues between a vice of excess and deficiencyтАЭ. IтАЩm not out every night, and I still find myself spending considerable time alone, but thatтАЩs okay. As an ambivert, I need this time for learning, reflection, and recharging. In fact, there are numerous benefits to time alone, and it is often a testament to oneтАЩs comfort with who they are. When it comes to creative pursuits, individual inspiration paired with collaborative refinement is where the magic happens. Our ideas come to us, not when brainstorming, but when we give our brains time and space. ItтАЩs when we share our ideas with other people that the process of collaborative refinement takes over to essentially incubate the idea. ItтАЩs not a case of either or. ItтАЩs about maintaining a healthy balance of solitude and socializing. Life can indeed become stressful, which manifests in our seeking out all sorts of distractions to numb our pain and silence our involuntary stream of thoughts. Distraction in small doses can indeed be beneficial to oneтАЩs state of mind but taken too far, it can be our undoing. By feeling the pain that comes with removing distractions from your life, it forces you to take action. Taking action might be harder than simply turning on Netflix, but itтАЩs the only way to become the best version of ourselves. And if you rely on distraction, day after day, the compounding effect in terms of where you end up relative to where you couldтАЩve ended up is significant. Paradoxically, like anything, what helps us in the short term ultimately ends up hurting us in the long term. Steve Glaveski is the co-founder of Collective Campus, author of Employee to Entrepreneur and host of the Future Squared podcast. HeтАЩs into everything from 80s metal and high-intensity workouts to attempting to surf and do standup comedy.